Every beginner guitarist learning chords needs to start with easy chord shapes that they can get their fingers around, but when you've got a dozen or so memorised open string, 'nut-position' chords under your fingers, it's time to change direction. Instead of cramming your memory with more random shapes, learn instead the various moveable shapes of each chord TYPE, and, importantly, also learn which chord tones comprise each shape. Moveable shapes are mostly the dreaded-by-beginners barre chords that need your first finger across all strings. But once you have those shapes mastered, you can then place them anywhere on the fretboard to produce chords of the same type but different pitch. That's twelve different chords just for each shape. What's important at this stage is not to memorise a random bunch of new barre chord shapes but to understand the chord tones that each chord shape is comprised of. 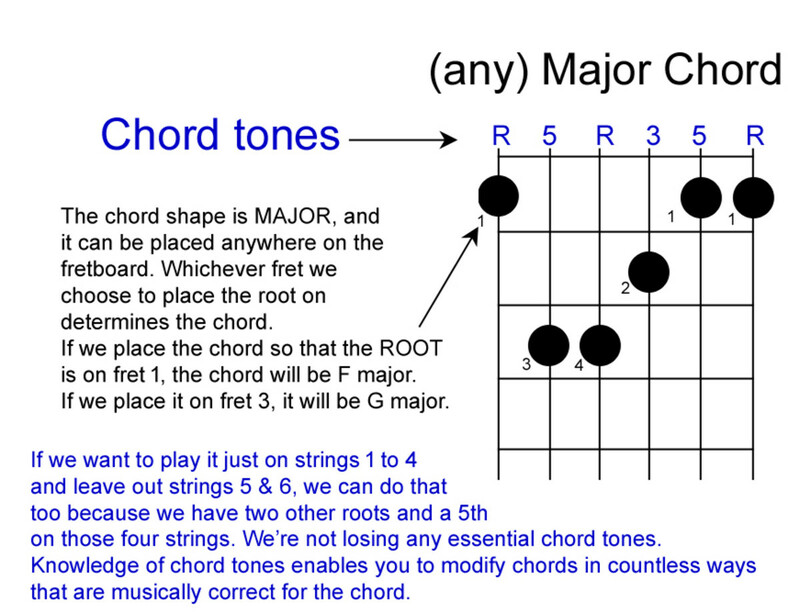 If you understand that, you can then modify any chord shape at will to produce a huge range of chord types. 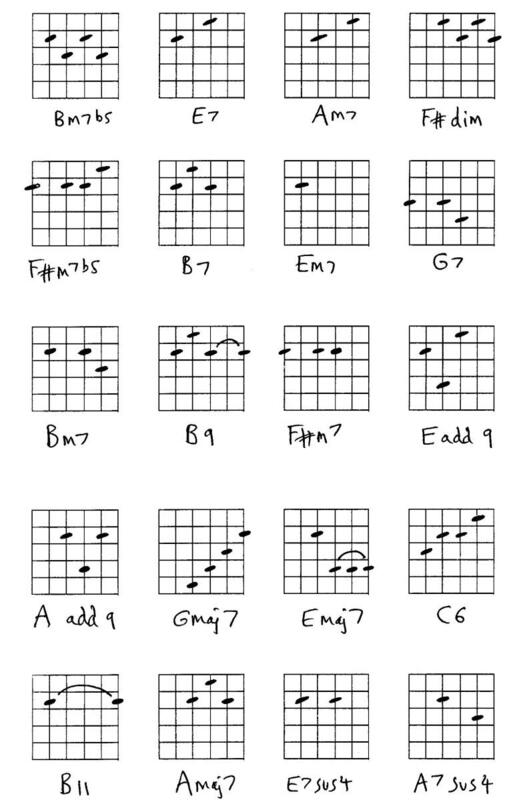 Every chord has a unique chord formula that lets us know which notes to use if we want to play a chord that we haven't already memorised. 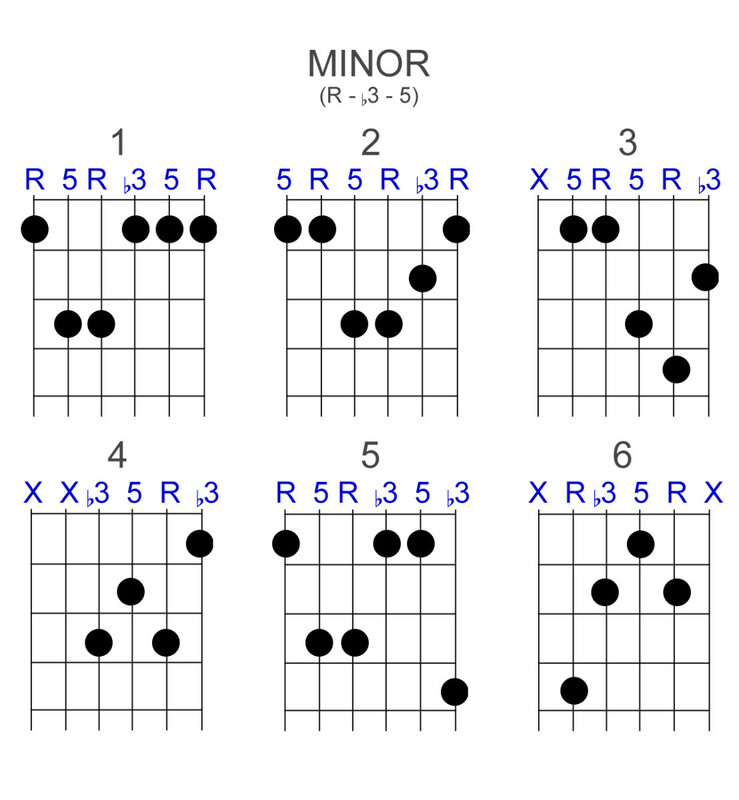 For example, the formula for every major chord is 1 3 5 or R 3 5 (R meaning the chord's root). If we wanted to know how to play the chord, C major (assuming we didn't already know how to play it), we could simply take the 1st, 3rd and 5th notes of the C major scale to give us the three essential notes that comprise C major and place them and any octaves of them that we want anywhere within reach of each other on the fretboard. See below for an example of building a more interesting chord according to its unique formula. 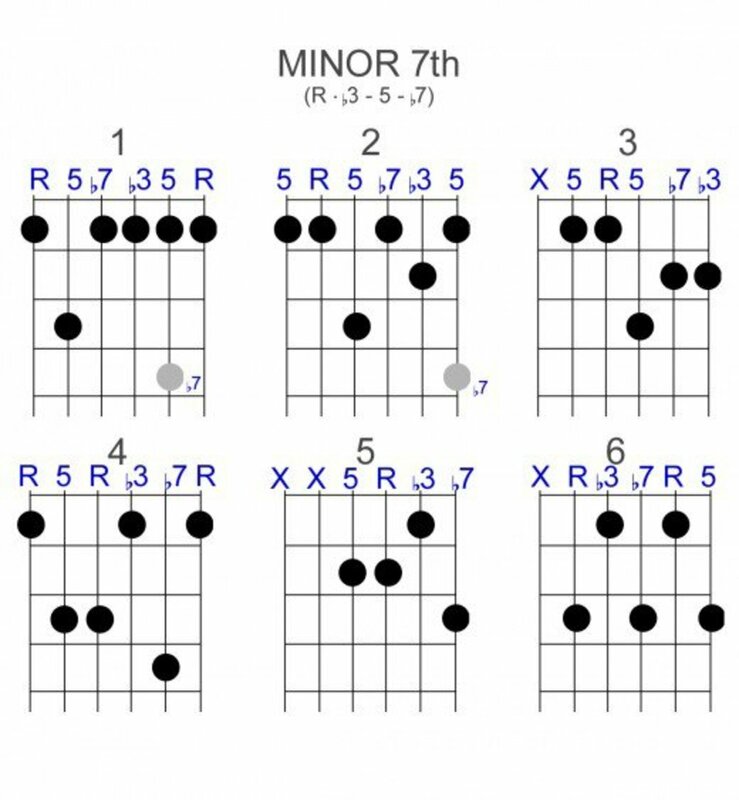 In this article, the most important chord types (majors, minors and three types of 7th chords) are shown in six different shapes. The chord tones are shown above the strings. and the chord tone 'formula' for each chord type is shown under the type name. Get to know these formulas. When you know the formulas, you will then know countless ways to play those chords whether on just three or four strings with only the essential notes or on all strings with octave-doubled notes for a fuller, strummable chord. You can also use them to modify known shapes to create new shapes for other chord types. Although, the notes of a chord can be placed in any order and at any octave and still be the same chord, the note that is the lowest in pitch (the bass note) affects the sound of the chord. If the the lowest note also happens to be the chord's root, i.e., the note that the chord is named after, the chord is in 'root position'. 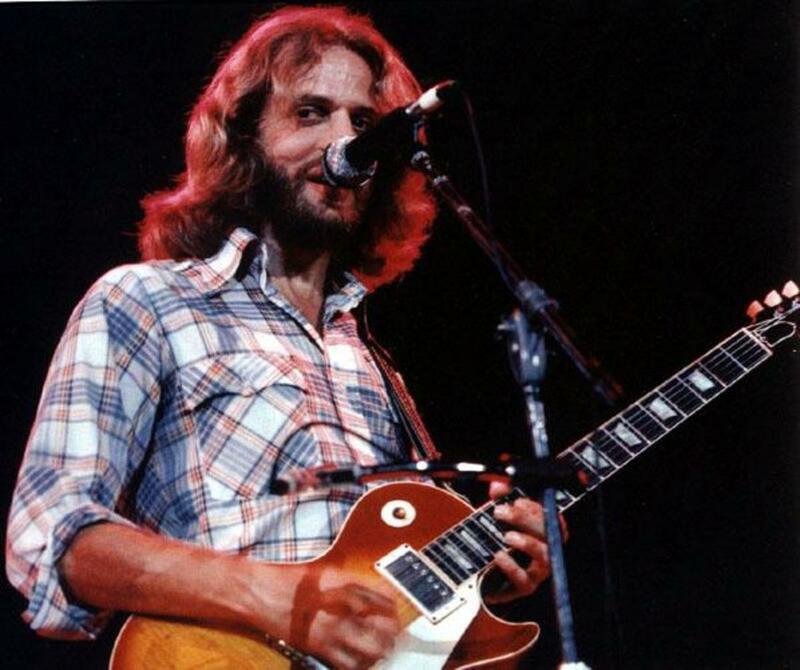 This is usually the preferred way to play the chord as it's balanced and strong. 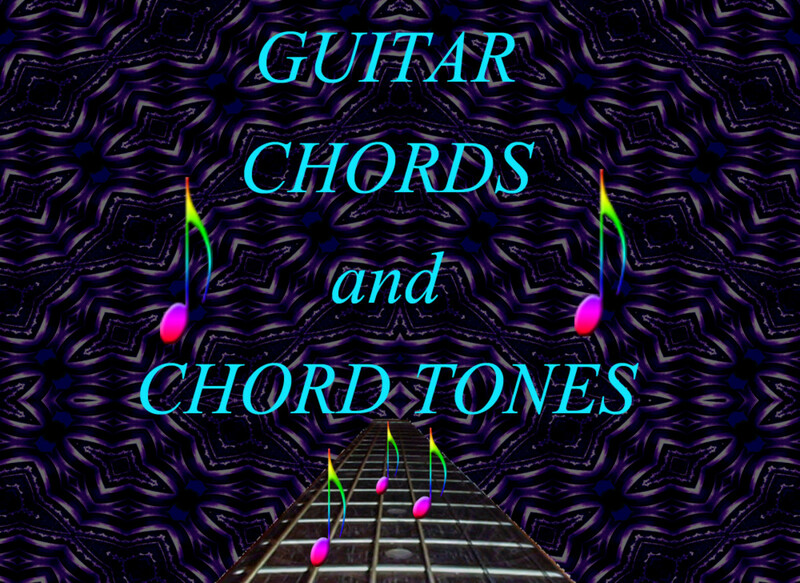 If any other chord tone is the lowest note, the chord is inverted. If the 3rd is in the bass, the chord is said to be in 1st inversion. With the the 5th in the bass, the chord is in 2nd inversion. Inverted chords are less balanced and stable than root-position versions. You normally wouldn't end a song on an inverted chord as it wouldn't sound finished. They have their uses in other contexts, though. This is the most popular movable major shape. It has a lot going for it. It has three evenly-spread roots and the lowest one is in the bass under your first finger and is a strong and well-balanced chord. It's often called the 'E shape' because the familiar 'nut-position' E major chord is the same shape but with the nut replacing your first finger. It's often played with just the first four strings for a lighter, but still well-balanced, sound as the root is still the bass note but is now on the 4th string. Playing on the first five strings is also quite common when strumming, but now the 5th, not the root, is in the bass. That can sound less well-balanced - but still full sounding. 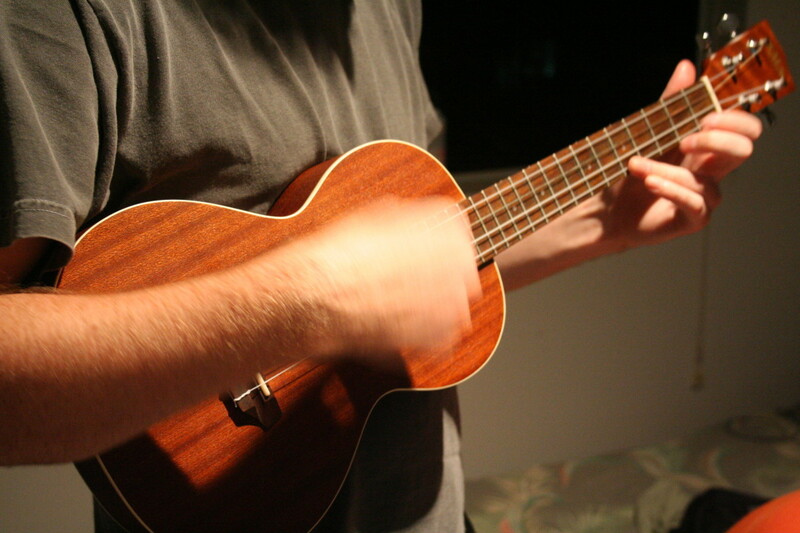 This shape is called the 'A shape' because that's the well-known chord in nut position. You can play the three adjacent notes on the same fret with your 2nd, 3rd & 4th fingers. 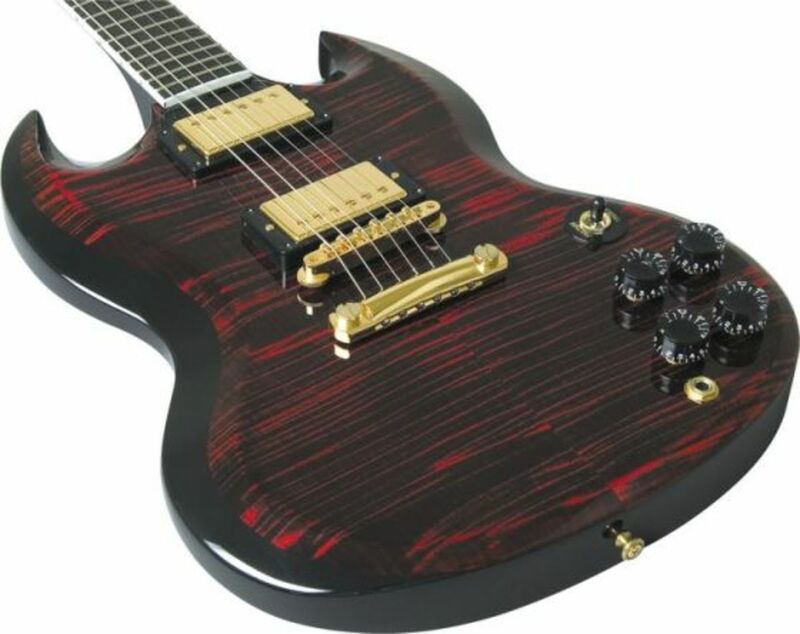 Many guitarists use their third finger across all three strings, especially with fat fingers on narrower-necked electric guitars, as it's difficult to get the three fingers squeezed into one fret. This is called the 'C shape', for the same reasons as the others are called the E and A shapes. 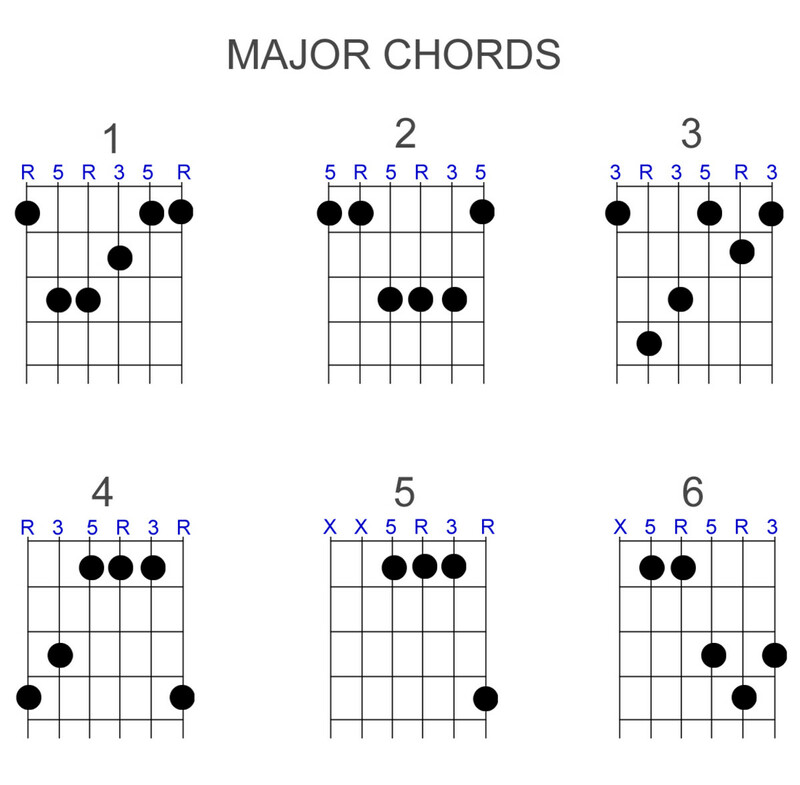 It's a very common C major chord at the nut, but beginners find it difficult to play anywhere else. It takes a lot of practice. This is called the 'G shape'. This is also difficult to play anywhere other than as a G chord at the nut. At higher frets, it gets easier as the frets get closer together. This is a four-string version of the 'G shape'. It's much easier than the six-string version although it's not in root position. If played at the 2nd fret, the chord is A major, so the open 5th string can be played, which puts it nicely in root position. This is called the 'D shape'. It's difficult for beginners, and a lot more difficult than the nut position D chord. As a 5-string chord, it's not in root position because, the 5th of the chord is in the bass. For the root position shape, play it from the 4th string. This is the minor version of the 'E shape' chord shape shown above. Only the 3rd has been lowered one fret (semitone) to the flat 3rd. This is the minor version of the 'A shape'. Again the 3rd (on string 2) has been lowered to flat 3rd. This is the minor version of the 'D shape'. It's easy at the nut (where it's D minor) but needs practice anywhere else. Play the four higher strings for the root position version. This is a unique shape. It has only four strings and is in first inversion as the 4th string is the 3rd of the chord. 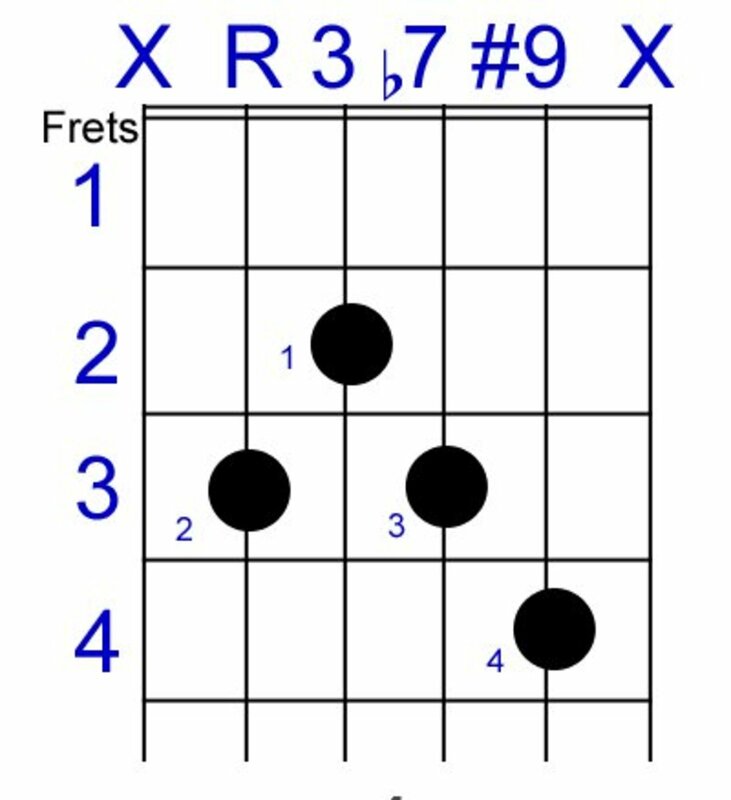 There's no root position option for this chord shape (but see shape 6) as the root is way up on string 2. At the nut, a root position version is possible by playing string 4 open, but technically, that's shape 3. This is a variation on shape 1 with the top note being a flat 3rd instead of a root. This chord is a root position version of shape 4. By including the root on string 5, you lose the top note (the 3rd) as you don't have any free fingers to play it. This is the 7th chord version of the E shape. The root on string 4 has dropped two frets to the flat 7th. It's quite a subtle sounding 7th chord shape as the active and dissonant flat 7th note is in the middle of the chord. The grey circle is an alternative note for the first string - flat 7th instead of root. It's useful if you need the flat 7th as a high melody note. This is the the 7th chord version of the A shape. Again, the 7th is well tucked in among the other notes for a less strident effect. It's most often played as a 5-string chord in root position. The grey note is another flat 7 alternative. The 7th chord version of the D shape is quite easy. It's easier than the D shape as your fingers are closer together. It's most often played as a four string chord in root position. At the nut it's a very easy D7 chord. This is a 1st inversion, four-string, version of the D shape. It's an example of a rootless dominant 7th chord, which, technically, makes it a root position diminished triad. It does the same job as the dominant 7th chord, but with a little less conviction. This chord is played on the four inner strings, but at the nut, where it's C7, the open 1st E string can be played too. This chord has no 5th. It's a good example of how the 5th (unless it's an augmented or diminished 5th) can often be left out without adversely affecting the chord's harmonic effect. This is a cut down version of the G shape. It's in 2nd inversion, but it's in root position when played at the nut (2nd & 3rd frets) as an A7 chord if the 5th string is played open. This is the Minor 7th chord version of the 'E shape'. The grey circle is an alternative 2nd string note; it's the flat 7th instead of the 5th. This is the minor 7th chord version of the 'A shape'. It's most often played as a five-string chord in root position. The grey circle is an alternative flat 7th instead of the 5th. Notice how having the 7th so high in pitch makes the effect far less subtle. This is the minor 7th chord version of the 'D shape'. It's usually played as a four-string chord in root position. At the nut, it's D minor 7th. This is similar to shape 1 with the alternative grey note, except that the flat 7th has now been replaced by a root. This is better as there's no need for two active and dissonant flat 7th notes in a chord. This is a handy, four string, 2nd inversion minor 7th chord. It's easy to play anywhere. At the nut as a five string chord, it's a root-position A minor 7th chord. This is a five-string, root position minor 7th chord. At the nut it's B minor 7th. This is best played as a four-string, root position chord. It can also be played as a first inversion chord, but it's almost never played as a six-string chord. The red note is a chord tone: the 7th, but putting the 7th in the bass means it will be in 3rd inversion and create a strong dissonance with the root above it. In jazz, it's called an avoid note, and as you might expect, it's mostly avoided. This is an 'A shape' major 7th chord. Played as a 5 string root position chord, it's well balanced and the 7th is subtle. It's less well balanced if played as a six-string 2nd inversion chord. This is a 'D shape' major 7th chord. It's usually played as a four-string root position chord. This is a 2nd inversion chord that comes from the 'G shape'. At the nut, it can be played as a five-string, root position A major 7th chord. 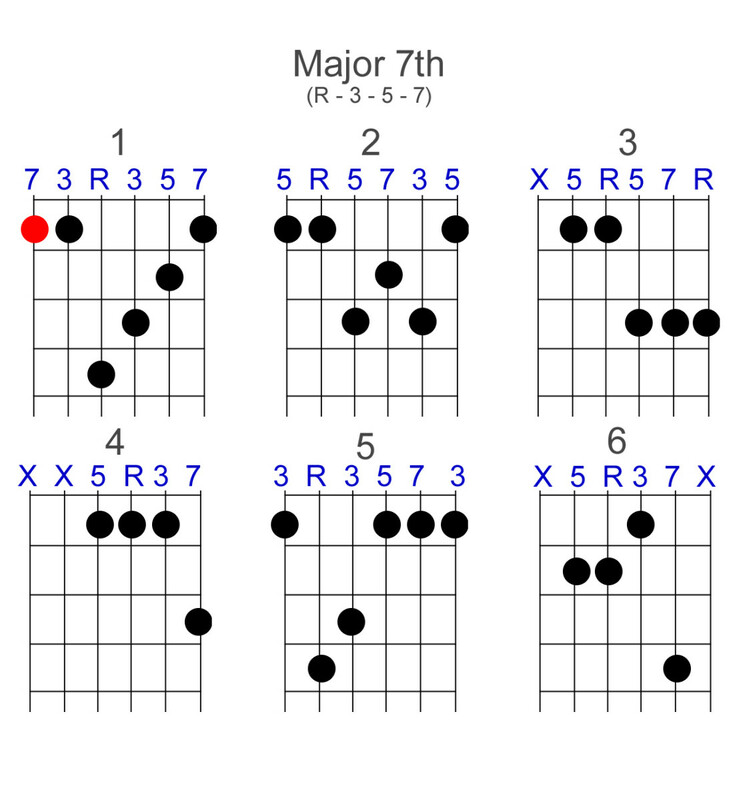 This is a very useful 'C shape' major 7th chord. It can be played in root position with five strings. At the nut it's a very easy, two-finger C major 7th chord. 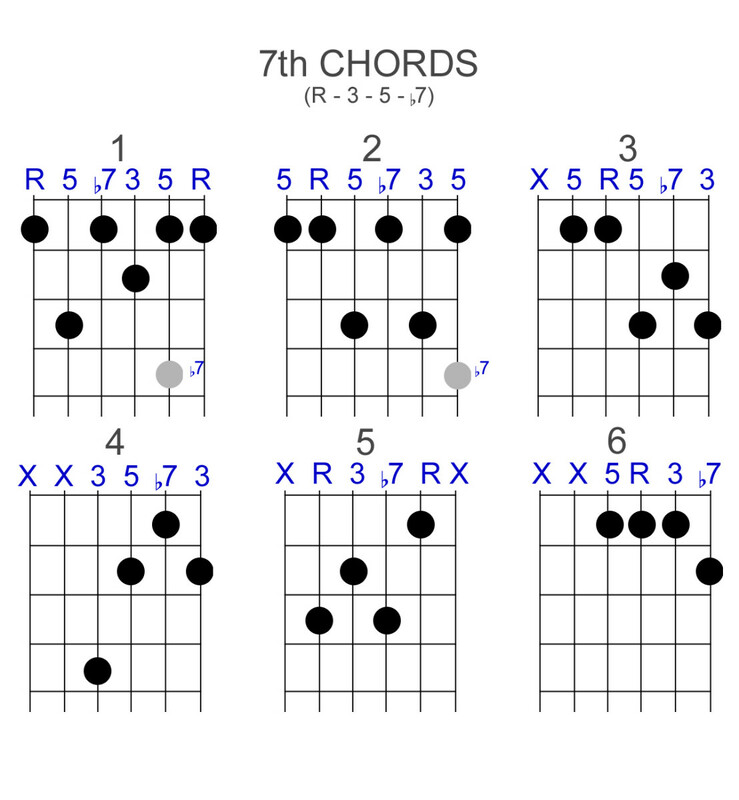 This is a modification of the 'E shape' chord to include the 7th. It's a bit of a stretch and needs some practice. It's not that common though. At the nut, it's E major 7th, but don't play the first string, unless you want a distinctive semitone clash in the chord. The five chord types shown above, each with six shapes that can be placed on any fret makes a total of 5 x 6 x 12 = 360 chords. Obviously there are more chord types than the five covered here. 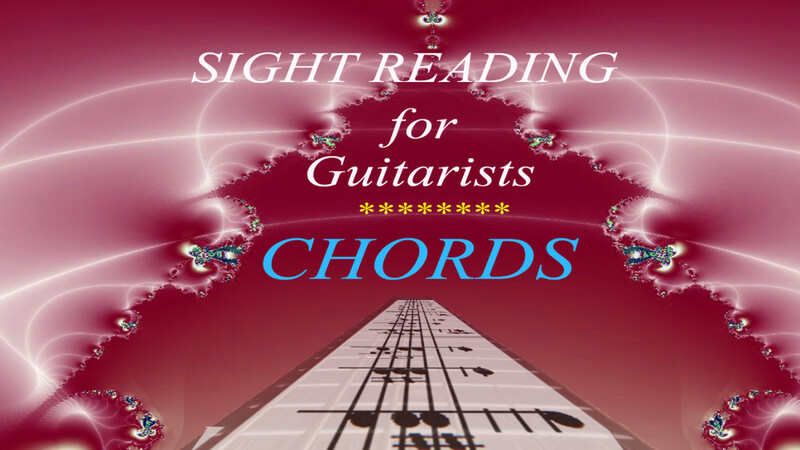 There are 9th chords, diminshed 7ths, augmenteds, sus chords, 13ths and more. In fact, there are far too many to be worth trying to memorise every shape. What you need to memorise are the chord formulas, so that you can build any chord, even if you've never played it or seen any shape for it. Memorising the formulas isn't difficult because the chord's name is based on the formula. The chart below is an extract from a chord formula list in my 'Chord Construction' article with examples based on a C root note. Let's put the theory into practice and make the so-called Hendrix chord type from scratch. The proper name for the Hendrix chord is '7#9'. It acquired its nickname after Jimi Hendrix used it to great effect in Purple Haze. So lets make C7#9. The formula for a 7#9 chord is 1 (or R) - 3 - 5 - b7 - #9. So what are the actual notes if we want C7#9? 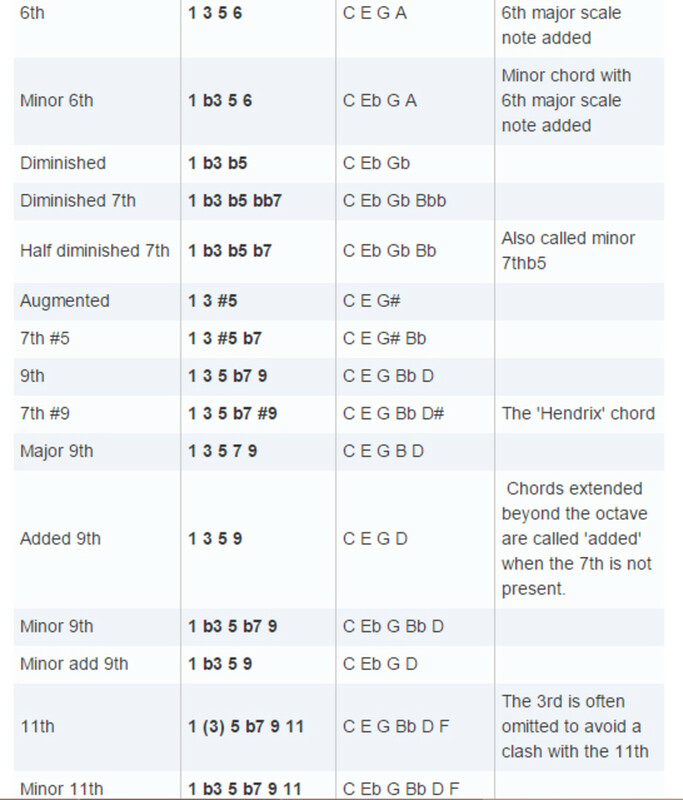 We can refer to the C major scale, to make it easier. The C major scale is: C D E F G A B C D E F G etc. so to make the chord we take the notes according to the formula. If a particular note in the formula is just a number we can take it directly from the scale, but if it's called b7 (flat 7) or #9 (sharp 9) or something similar, then we have to modify that scale note accordingly. So our b7 of the chord's formula isn't B but Bb, and the #9 isn't D but D#. So for the Hendrix chord formula of 1, 3, 5. b7, #9, we want notes 1 (C) and 3 (E) and 5 (G) and flat 7 (Bb) and #9 (D#) and that's our Hendrix chord. And the pic shows a neat little root position shape for it using the four inner strings. We could include the open 1st E string, but the semitone clash between the D# and open E might be a bit too much, even for Jimi. But notice something missing. Where's 5? There's no 5th in this particular chord shape, which brings us nicely to the next point - omitting non-essential notes. Not all chord tones are created equal. Some can be omitted without affecting the sound of the chord too much. In fact, for many extended chords, it's impossible to fit them all into six strings. 13th chords, for example, have seven chord tones. At least one has to be omitted, and often two or three non-essential chord tones are omitted just to make the chord shape playable. Another important reason (and not just for guitarists), is that we also omit certain non-essential chord tones to improve the sound by avoiding clashes or just to lighten the chord's density. The 5th can be omitted from most chords (unless it's a diminished or augmented 5th) without changing the chords' harmonic effect, too much. We saw that earlier in one of the 7th chord examples. It's the case here, too with our 'Hendrix' C7#9 chord. 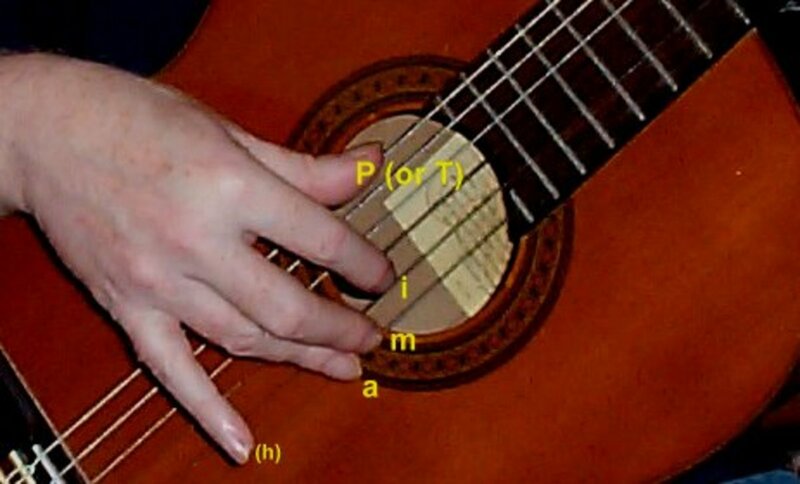 If you really want the 5th, though, you can try to cover the G on string 1 fret 3 with the same finger that's on string 3. It's a bit awkward but can be done with practice - or, as we've done here, just leave it out. Knowledge of chord tones enables us to make these decisions confidently for every musical situation.